I went to a gorgeous yarn festival this weekend, it was a first for them but not for me! At the time I went to Bob I was in mourning, because my most wonderful local yarn shop had closed in September and I missed it so much. So I had to take the opportunity to visit a yarn festival because I had no-where else suitable or helpful or courageous enough to go to for my woolly fix. 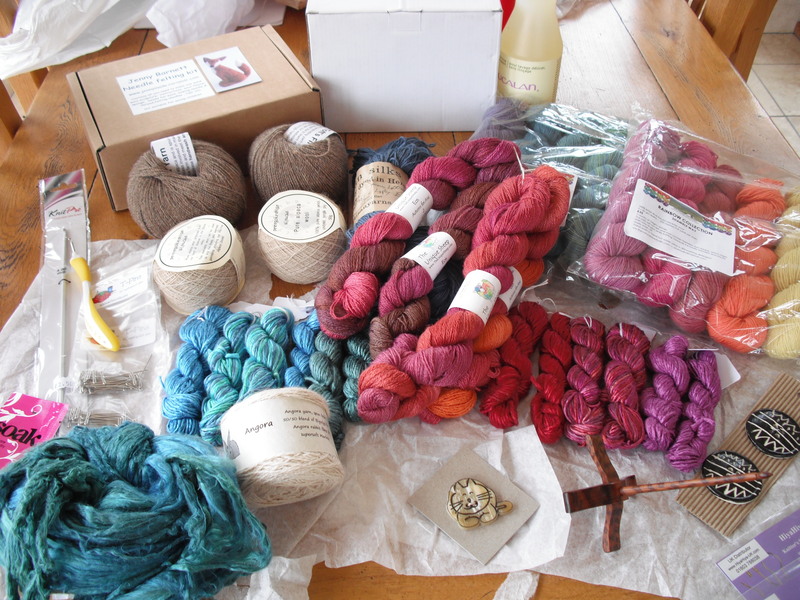 Yes, I still mourn the loss of that shop – Riana and Nigel helped me rekindle my love of all things woolly, and unexpectedly unleashed my long hidden creative streak. But they did build the most amazing community and I will blog about that sometime soon. So after Bob I wondered how else I would get my ‘fix’. I searched the calendar and found Wonderwool Wales http://www.wonderwoolwales.co.uk/ . And there and then decided the only way to rekindle the love was to organise a loving coach trip to Wonderwool Wales. It was months away, but plenty of time for me to get quotes for coaches and think about how to do it. And do it I did!!!!! It was at the end of April this year and was amazing! The first time I had organised a coach trip. I thoroughly enjoyed it and I think (hope) all the people on the coach did too. So where next…… well it was obvious I should do Wonderwool again but nothing else…….until I found Yarndale http://yarndale.co.uk/http://yarndale.co.uk/ . But Yarndale was in Skipton, only an hour and half to drive from my home, surely I could do that without the need to organise a coach? 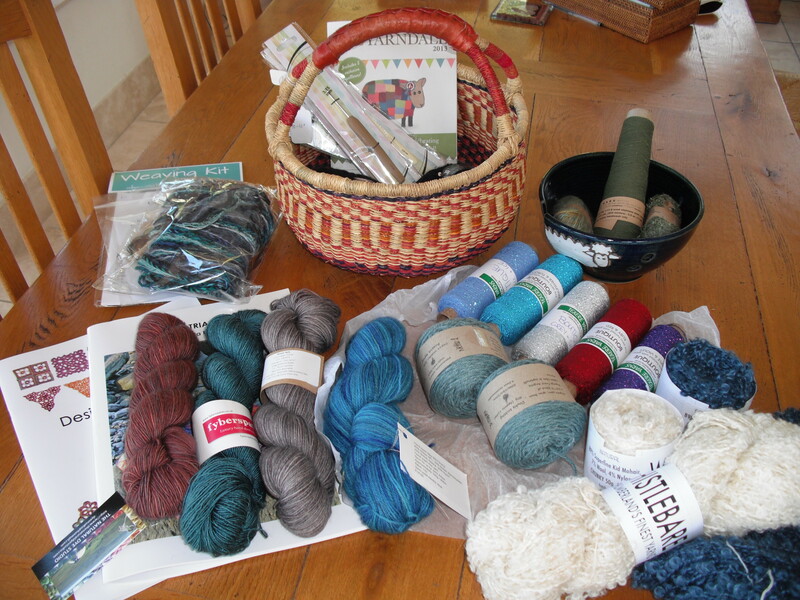 Ok, I am a sucker….when someone said ‘are you organising a trip to Yarndale’ it didn’t take me long to decide. With only 2 months preparation time, I booked the coach, miraculously filled it and was on the way to a brand new yarn festival. And what a festival it was. Thanks to Lucy at Attic24 http://www.attic24.typepad.com/ who is one of the organisers, it featured crochet rather than knitting as the main craft. Wow, how often does that happen? We arrived at the opening, had only a short queue in traffic and the coach parked up very close to the rear entrance to the festival. It was busy and little did I know that they had some logistical issues, as is always the case with something new, but I did not notice them! I can always recommend a coach for such events – for numerous reasons, and especially because they are green – someone else drives, they use less fuel per person and you can enjoy the journey there and back with some lovely like minded people. To me it is win, win. So will I do yarn festivals again – yes, yes, yes! I love them and I so wish there were more closer to me……mmmm maybe I should think about organising one! PS have just discovered there are some places left on this amazing weekend break http://thesmallcrafters.blogspot.co.uk/2013/10/last-minute-dot-com.html let me know if you are interested. It was a wonderful day lots of great stalls and the sun even made an appearance! Thanks again for organising the coach.